Are iTunes and the iPad not getting along? An iPad needs to connect to iTunes for important system updates and backing up your applications and data. But before you run out and buy a new cable, there are a few things we can check. First, make sure the computer is recognizing the iPad. When you connect your iPad to your computer, a small bolt of lightning should appear in the battery meter located on the upper right-hand side of the screen. This lets you know the iPad is charging. It also lets you know the PC is recognizing the iPad. Even if the battery meter reads "Not Charging" which means your USB port isn't capable of charging the iPad, you at least know the computer recognized your tablet. If you see the lightning bolt or the words "Not Charging," your computer recognizes the iPad is connected and you can proceed to step three. Next, make sure the problem isn't with the USB port by plugging the iPad into a different port than the one you previously used. If you are using a USB hub or plugging it into an external device like a keyboard, make sure you use a USB port on the computer itself. If plugging the iPad into a different USB port solves the problem, you may have a bad port. You can verify this by plugging another device into the original port. Most computers have enough USB ports that a single broken one is not a big deal, but if you find yourself running low, you can purchase a USB hub at your local electronics store. Make sure the iPad isn't running too low on power. 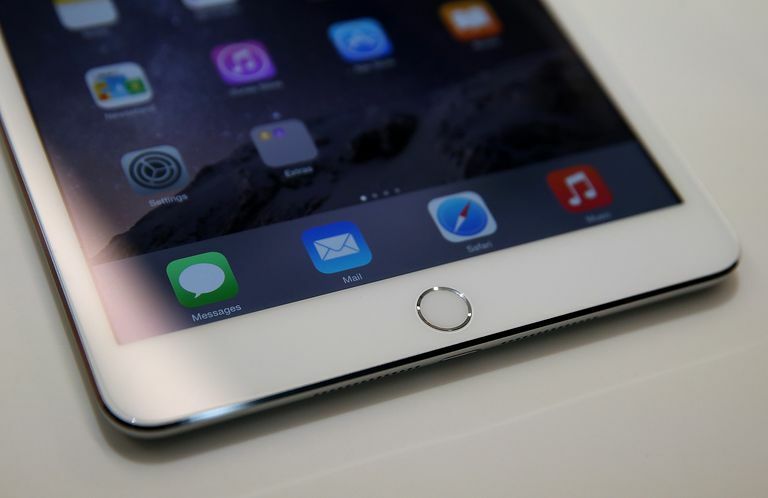 When the battery is close to being depleted, it can cause the iPad problems. If your iPad is connected to your computer, unplug it and check the battery percentage, which is located on the upper right-hand side of the iPad next to the battery meter. If it is less than 10%, try letting the iPad recharge completely. If the battery percentage is replaced by the words "Not Charging" when you plug the iPad into your computer, you will need to plug it into a wall outlet using the adapter that came with the iPad. One of the oldest troubleshooting tricks in the book is to reboot the computer. It's amazing how many times this will solve issues. Let's choose to shut down the computer rather than simply restarting it. Once your computer is completely powered down, let it sit there for a few seconds before powering it back up. And while you're waiting for the computer to come back up, go ahead and do the same thing with the iPad. You can reboot the iPad by holding down the suspend button on the upper right-hand corner of the device. After several seconds, a red button with an arrow will appear, instructing you to slide it to power off the device. Once the screen goes completely black, wait a few seconds and hold the suspend button down again. Apple's logo will appear in the middle of the screen while the iPad boots back up. Once your computer and the iPad have been rebooted, try connecting the iPad to iTunes again. This will usually solve the problem. If iTunes is still not recognizing the iPad, it's time to try a clean copy of iTunes. To do this, first, uninstall iTunes from your computer. Don't worry, uninstalling iTunes won't delete all of the music and apps on your computer. You can uninstall iTunes on a Windows-based computer by going to the Start menu and choosing Control Panel. Look for an icon labeled "Programs and Features." Within this menu, simply scroll down until you see iTunes, right-click on it with your mouse and select uninstall. Once you have removed iTunes from your computer, you should download the latest version. After you have reinstalled iTunes, you should be able to connect your iPad just fine. Still having problems? It is rare for the steps above not to correct the problem, but sometimes there are problems with drivers, system files or software conflicts that are ultimately the root of the problem. Unfortunately, these issues are a bit more complicated to fix. If you run anti-virus software, you can try shutting it down and trying to connect the iPad to your computer. Anti-virus software is known to sometimes cause problems with other programs on your computer, but it is very important to restart the anti-virus software once you are done with iTunes. Windows 7 users can use the Problem Steps Recorder to help troubleshoot the issue. If you use Windows XP, there is a utility to inspect and repair your system files.